PhD trajectories in the Netherlands are internationally recognized as being of high quality. PhD publications are in both qualitative and quantitative terms highly ranked. Overall, PhD candidates play an important role in the academic output of Dutch universities. They make up almost thirty percent of the total number of scientific staff of universities. In general, PhDs in the Netherlands are regarded as employees rather than students. However, this employee status has recently came under pressure. The association of universities in The Netherlands (VSNU) and the Ministry of Education, Culture and Science increasingly regard PhDs as students rather than as employees. Consequently, they want to employ PhDs on bursaries instead of on employment terms. This implies that PhDs will not receive a salary anymore, but a bursary instead. Furthermore, they are not eligible for, for instance, unemployment benefits once their contract ends and (paid) maternity leave. Besides that, a desk and office within the university is at stake. In short, treating PhDs as students instead of seeing them as employees, has severe consequences for PhDs and are likely to make doing a PhD less attractive to talented students. As a result of the above mentioned reasons, PNN is against a student status for PhDs. 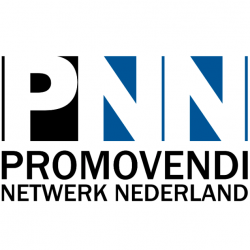 This viewpoint has been expressed by PNN in national media (see the list of press releases below), to members of Parliament and to the Dutch Ministry of Education. As a consequence of the controversy that the bursary experiment caused within higher education, the current Minister of Education (Jet Bussemaker, PvdA) decided to stop with the implementation of ‘bursary-student-legislation’. She decided to start with experimental leglisation to investigate the effect of so-called bursary PhDs on a small scale, before making her final decision. Despite the negative advice of the Council of State to continue with this. Given that a majority of the members of Parliament approved the experiment, a number of universities is currently preparing plans to join the experiment and employ PhD students. Each university council, consisting of both students and employees, has to give a positive advice in order for universities to be able to participate in this experiment. The detailed plans of different universities that want to participate in the bursary experiment are not yet presented. With this page, we will try to keep you up-to-date on what the proposed plans are. Any questions on this topic may be adressed to PNN through info@hetpnn.nl.